Hi Lovelies. 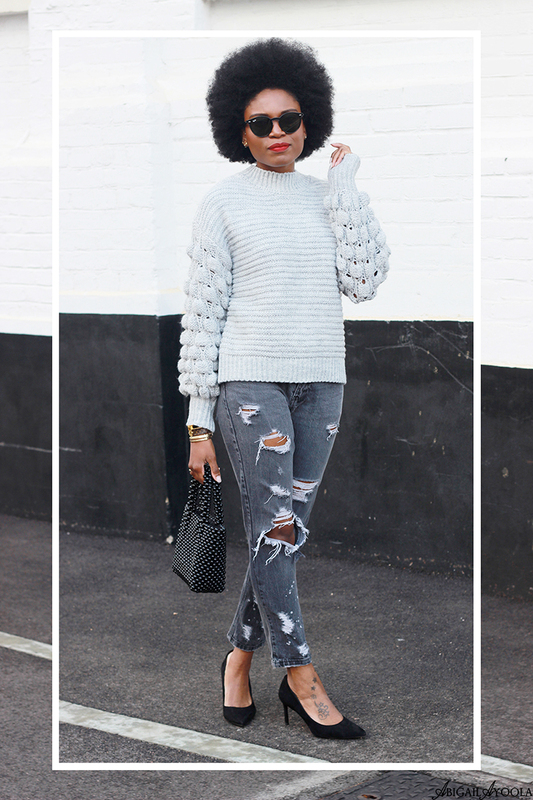 Although I’m definitely more of a summer baby, sweater weather can be so much fun. 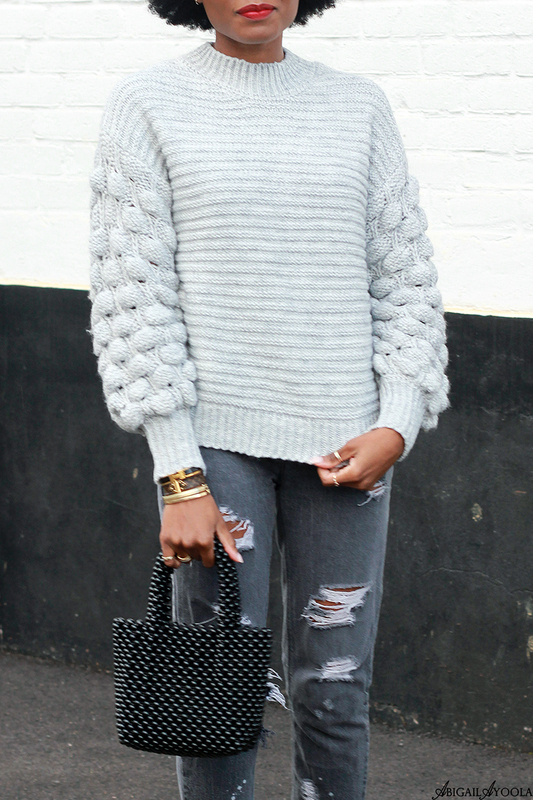 Today’s look features a Grey Bobble Sleeve Jumper that is cute and playful but not so busy. It’s versatile enough that it can be worn with Grey Ripped Jeans as I have done casually with this outfit or a pencil skirt or tailored trousers for a more smart look. 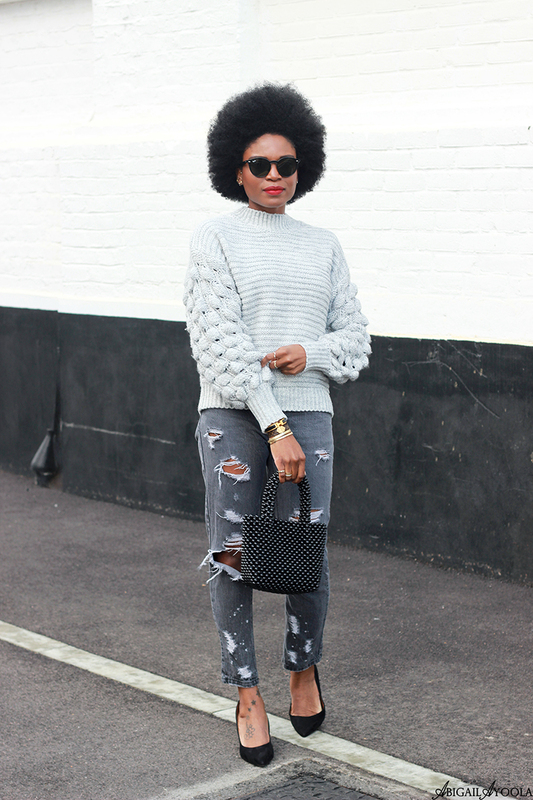 I love how with knitwear, the oversized look can be just as flattering as the fitted look. So with a jumper like this bobble sleeved one, feel free to size up and not only will you be stylish but you’ll be cosy too. 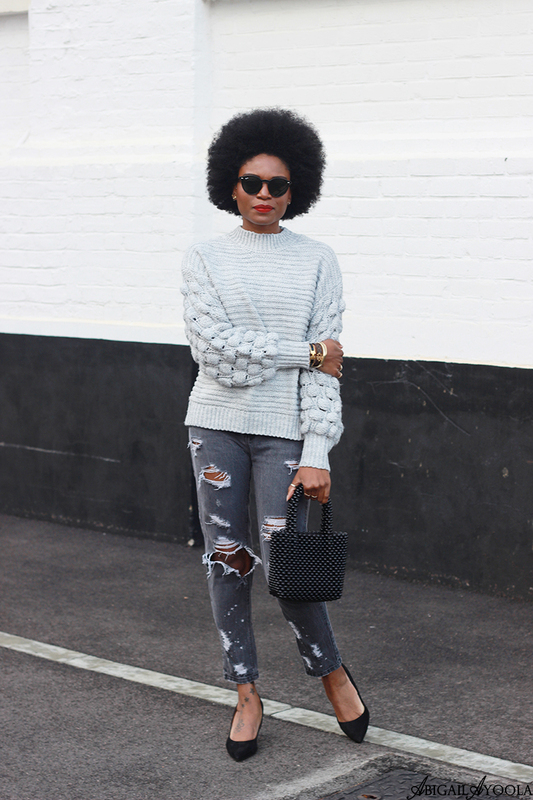 You don’t need anything else to help you make better sweater weather style choices. Also featured in today’s look is a beautiful small Black Beaded Bag and I’m so in love with this versatile accessory that I have outfits for the unforeseeable future planned with it. Although the beaded bag is definitely having its spotlight moment, you don’t need to worry about it going out of fashion as they are such timeless accessories. I even have a cross body version that is vintage which I bought many years ago, so I have no doubt these will be complementing outfits for seasons to come. Enjoy!